Our work involves devoting significant amounts of time to understanding what drives people’s behavior—and prompting them to make decisions and follow through with action that benefits them. As a member of ideas42, I can’t help but apply this same behavioral lens to my own life. When I read Daniel Pink’s new book, When: The Scientific Secrets of Perfect Timing, I realized that one thing that isn’t always salient when it comes to behavior is timing. Yet in his book, Pink illustrates how improving our understanding of time can help us change our behavior, perform tasks better, and even be happier. So, I decided to investigate how I could integrate the core insights from his book into my own life and work. One of the main insights Pink drives home throughout When is that our energy flows in predictable waves throughout the day. Most of us often start the day in a good mood and reach a peak energy level, until dipping to a low energy point and ultimately rising again later on. As a result, how well and how easily we complete a given task depends not only on the type of task and the type of person we are, but on the time of the day. To apply his insights, I first had to understand which type of person I am. Pink categorizes people into groups, which he calls larks, owls, and third birds, based on what time of day they perform better on certain types of tasks. Larks are morning people, owls are, well…night owls, and third birds are somewhere in between. While he explains that most people are third birds, I concluded quickly that I am a lark. I wake up between 4:30 and 5:00am on weekdays and go to sleep no later than 9:00pm most nights. Even on weekends I often wake up at the same time. To determine your own type, consider your sleep cycle—when do you tend to go to bed and wake up?—as well as your alertness and energy levels throughout the day. Your “type” is important because, according to Pink, a lark will perform better on analytical and creative tasks at a different time of day than an owl will. As a lark, I should perform analytical tasks in the morning, when I am more alert and have high higher energy levels, allowing me to think critically about the problem at hand. I am better off tackling less-defined problems that require creative thinking in the afternoon, when I am more easily distracted. That may sound counterintuitive, but this distracted state can actually help me approach a problem in a novel way and reach that “eureka” moment. On the other hand, owls who have the reverse energy levels of larks are better at solving analytical problems in the evening and problems that require “outside the box” thinking in the morning. Third birds share a bit of both of these characteristics. 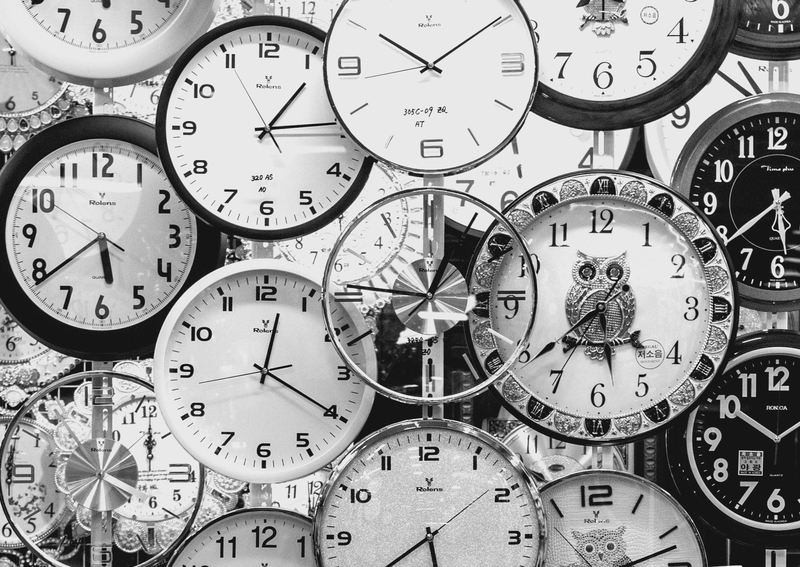 Armed with a better understanding of my most productive times, I began to examine my workdays to find opportunities to improve my own decision-making and performance—not by changing my workload, but the time I allocate for certain tasks. I reflected on my workweek to analyze the ebbs and flows of my productivity. It became clear that I get most of my best work done between 7:00 and 11:30am and 5:00 and 8:00pm. I associate these time periods with focus and little distraction. So, it makes sense for me to survey my work for the day and schedule analytical tasks in the morning and more open-ended work in the afternoon. Of course, things are not always that simple. Like many people, I have meetings and deadlines throughout the day that aren’t flexible. Pink recognizes this and underscores that being aware of the “when” in your day-to-day life and making changes when possible, even minor ones, can affect your productivity. For example, I have started taking advantage of the 30 minutes I have between meetings that fall during my productive periods to get a jump-start on an upcoming deadline, rather than defaulting to checking my email. I also recognize that even when the timing is right, there may be behavioral barriers that prevent optimal performance. For example, I frequently underestimate the time I need to complete a task during my morning work blocks—a common phenomenon called planning fallacy. This causes me to work past the allocated time and push back other items on my to-do list, disrupting my whole schedule. One way to address my tendency to miscalculate how long a task will take is to create multiple work blocks with buffer time for when I (almost inevitably) fall behind. This is particularly true when I need to do an analytical task in the afternoon, my least productive period. Pink’s insights on how timing interacts with behavior offer a useful new lens for creating more productive, healthier lives. I’ve found it beneficial to draw on his findings in my own day-to-day, and incorporating the science of timing with what we know about human behavior can strengthen our ability to impact people’s lives with behavioral science.